In addition, of course, be sure the maximum loan amount satisfies your needs and that the money will be delivered within your time frame. After all, if a loan lacks these two crucial elements, what good is it? Finally, just because you’re applying for a loan online, that doesn’t mean that Wisconsin’s state laws and regulations regarding installment loans don’t apply. They do. So before working with a lender, be sure that they have a license from Wisconsin’s Department of Financial Institutions. 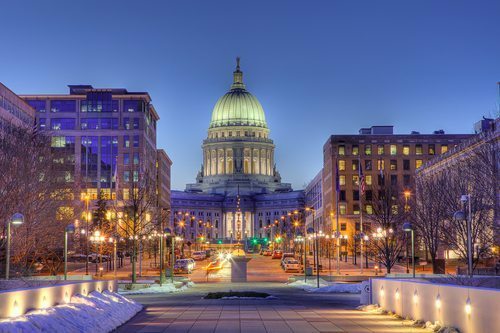 This license confirms that the lending company has “complied with the requirements set forth under Section 138.09 of the Wisconsin Statutes” and is licensed to engage in the business of online installment loans in Wisconsin. It should be “conspicuously posted” in the public office (or on the website of the lender) as well. With our low-rate guarantee, you can rest assured that you are getting the lowest interest rates around (and if you find a lower rate, we’ll match it!). Our flexible payment schedules will help you pay off your loan as soon as possible, and we prorate the fees involved so that if you pay off the loan early, you will have very few fees to pay. To get started, please contact us online or give us a call at 1-815-436-4242. We would be happy to help!